Computer vision; pattern recognition; machine learning; graph-algorithms in vision; shape-from-shading and texture; face image analysis; shape analysis and recognition; object recognition. Complex networks. Machine learning. Royal Society Wolfson Research Merit Award Holder (2009-2014). 1984-1991 - Tutor Open University. 1988-1991 - Part Time Lecturer Department of Electrical Engineering Surrey University. 1991-1997 - Lecturer, University of York. 1997-1998 - Senior Lecturer, University of York. 1998 - Reader, University of York. 1998 to present - Professor, University of York. Honorary Professor Anhui University (2004-present). Visiting Fellow Isaac Newton Institute (2008). External examiner University College London (1999-2003), Edinburgh University (2002-2004) and University of Warwick (2007-2009). Editor-in-Chief IET Computer Vision (2006-2011). Pattern Recognition (Associate Editor, 1991-2010, Area Editor 2010-present). 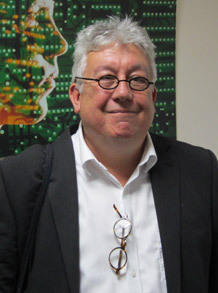 Image and Vision Computing (Associate Editor, 2009-2011). Fellow IAPR (2000), IET (2007), BCS (2008) and Institute of Physics (2008), IEEE (2016). Royal Society Wolfson Research Merit Award Holder (2009--2014). Chair IAPR Constitution and Bylaws Committee (2008-2012). Ciar IAPR Maria Petrou Prize Committee (2014-2016). Member Royal Society Newton International Fellowships Panel (2013-2015, 2016-2018). Member REF Computer Science and Information Technology Panel 2014. Chair Computer Science Evaluation Commission, Czech Academy of Science (2015). Member IEEE Computer Society Fellow Evaluation Panel (2016).